The continuous escalation of LED fine pitch display application can be found in six major categories including broadcasting rooms, security and control rooms, corporate and education applications, retail applications, public areas and transport, and hospitality, entertainment and theater applications. Among these categories, retail and hospitality, entertainment and theater applications are anticipated to grow significantly. Broadcasting room applications include the displays in TV stations, studios and others which requires high refresh rate. LED fine pitch displays can meet the needs of the requirement with its features of self-emitting technology, high brightness and high refresh rate and thus become one of the most popular options for displays among the field. For security and control rooms, the displays are expected to achieve high resolution and reliability for non-stop image display. LED fine pitch displays would defeat LCD display with the stable display quality for long time operation and the feature of bezel less splicing to present images with high resolutions. Yet, the problems of high power consumption and bad dies still need to be solved. The applications of education and corporation address high brightness, high contrast and wide viewing angle for presenting image in classrooms, meeting rooms and conference rooms. LED fine pitch displays have benefits with the features required and some LED display companies have worked on products for meeting rooms. Displays installed at public areas provide information for the surrounding environments, offering instant instructions for people passing by. They also serve as a platform for advertisement. LED fine pitch displays with high brightness, high contrast and reliable display performance are also advantageous in the display market for public areas. At Display International, Touch Taiwan 2018, smart displays for retail applications was one of the most discussed topics. Adopting LED fine pitch displays in retail stores would help to attract attentions of consumers. 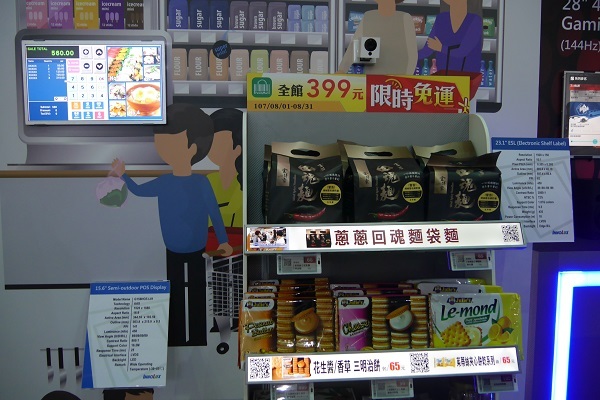 In addition, with the combination of IoT and intelligent applications, retail shops can use displays to collect data of its consumers and to target the market more accurately. Interactive displays and transparent displays can provide unique experiences for customers and might become a trend in display applications. The applications of LED fine pitch displays for hospitality, entertainment and theater will achieve visible growth according to the forecast of LEDinside. LED fine pitch displays provide excellent display quality with high brightness uniformity; furthermore, they could achieve quasi-3Dfunction. With the technology, audiences can watch 3D movies without wearing glasses. Sony has showcased its LED cinema at ISE 2018 and disclosed its plan to promote LED displays into cinemas. Meanwhile, Samsung revealed its cinema LED technology “Onyx” last year and has reported many projects worldwide including its partnership with an Indian film company to install the cinema display in several major cities in India by the end of the year.